Initial consultation begins with filling out the form and setting up a one and a half hour in person meeting. This will be followed with another 30 minute consultation. Your informative consultation will offer a plan unique to you which includes suggestions for diet and lifestyle, instruction in meditation, asanas and pranayama specific to balancing your dosha. The combined first two sessions are at a sliding scale cost of $50 to $75. Consultations after the initial two can be on the phone, skype, facetime or in person. $25 per half hour, $35 per hour. 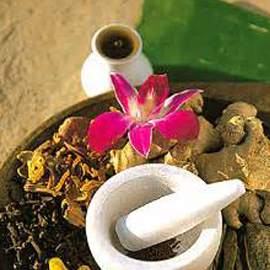 Ayurvedic Guide for Healthy Living: An overview of Ayurveda. Ayurvedic lifestyle leaves you energized, well rested, managing your weight and centered. Learn the science of Ayurveda, the five elements and formation of the dosas (the intelligence that directs your bodily functions). By the end of the workshop you will have an understanding of your constitution (dosa) and the relationship between you and nature. Health and Beauty: Explore the topics of general beauty routines, beauty tips and remedies for specific dosahs, and the inner aspects of beauty. Explore what beauty secrets nature has to offer. Ayurveda for Women: Ayurveda aims to help women find and keep their creative energies flowing. It teaches us to begin the search for health by looking within ourselves and using the powers we possess to self-heal. This workshop is designed to provide ancient wisdom and its application from menarche through menopause. Topics include Life’s 5 Foundation Principles, Understanding Your Unique Constitution, the Effects of Stress and Hormones on health, and Relieving Menstrual and Menopausal Discomforts. Healthy Eating for the Seasons: A fundamental Ayurvedic teaching is, “Let food be your medicine, and medicine be your food.” Food plays a prominent role in well being, so it important to eat the right foods in order to be healthy. Ayurveda, the ancient science of life, explains how to help individuals lose excess pounds, maintain ideal weight, generate energy, relieve bouts of anxiety and worry, and improve memory by clearing mental fog. 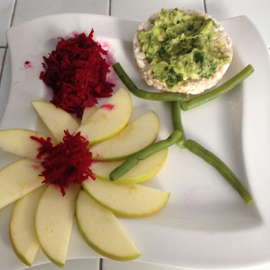 This workshop offers the teachings behind choosing to eat seasonal foods and the impact time of day has on digestion. 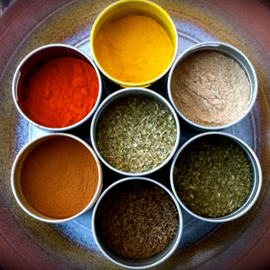 In addition, by understanding the role of digestion, the six tastes and culinary spices have on health, one can plan an individualized diet that supports their unique constitution and find that healing state of being. Note: Above workshops can be adapted for school age children and can be offered during school or after school hours. 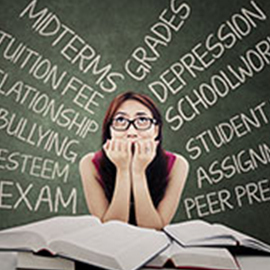 American teens report experiences with stress that follow a similar pattern as adults, according to a survey released in 2014 by the American Psychological Association (APA). Stress causes feelings of being overwhelmed, exhaustion through the day, inability to sleep at night, and although not sick, just not feeling right. This informative program is designed to empower teens to take charge of their health by practicing yoga, meditation and breathing activities. The tools offered include self care tips, offer immediate and long term relief, do not have physical or time requirements and can be practiced anytime, anywhere. Designed for schools and based on Ayurvedic teachings, Stress Reduction for Teens has been received by Queensbury High School and Future Business Leaders of America. Diet, according to Ayurveda, is not just about losing weight. Rather it is about achieving health by balancing your dosas. Eating in accordance with the seasons, at the right times of day, with the use of spices and herbs that stimulate your digestive fire will enable you to reach and maintain a proper weight. You will be coached to follow Dr. John Douillard’s (lifepsa.com) Ayurvedic Weight Loss Plan. Following an Ayurvedic diet and lifestyle leaves you energized, well rested, managing your weight and centered. 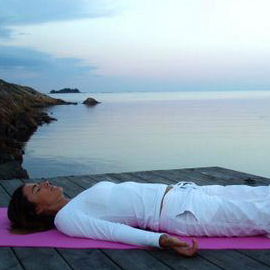 Divine Sleep® Yoga Nidra, “yogic sleep” offers a scared time when one can go inward for deep renewal and relaxation. It is meditative, heart opening and cultivates self-compassion. All that is required to do is to lie down and listen as you are brought to a place of deep calm, quiet and clarity. *Private or group classes held at the Yoga Nook. These classes are designed to present a series of remedial programs that focuses on a different stage of a child’s development. 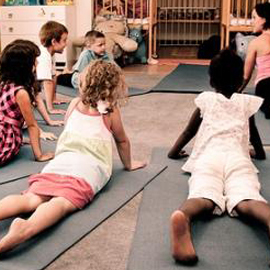 Chanting, Asanas (yogic poses), Pranayama (breath control) and Deep Relaxation are all taught in a systematic manner so that your child benefits from the gifts that yoga offers. – For developmental or cognitive ages birth through 12. * Kindly consult your pediatrician. – When you practice pranayama you are controlling your breath and the flow of life force-energy. – When you meditate you observe your mind and let your thoughts flow by. Practicing pranayama (breathing exercises) has many healing benefits. It cleanses organs, brings joy and bliss, and enhances energy. Meditation brings awareness and order to life. Yoga postures (asanas) bring balance. When you learn how to practice all three, intelligence awakens, leading to happiness and creativity. There are many benefits, a few of which are the reduction of stress and blood pressure and the increase of focus and clarity. When you practice pranayama, yoga and meditation you are strengthening connections that maintain cellular health and longevity. Body, senses, mind and soul are the four main components of Life; without their constant connection life cannot exist. * Private or group classes held at the Yoga Nook. When you practice yoga you move energy through your body. 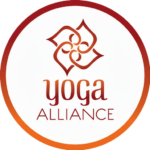 As a 200 Hour Registered Yoga Instructor with Yoga Alliance I teach Beginner’s classes. Hatha Yoga is classical, having its roots in the 5,000 year old Vedic tradition. I combine Ayurveda teachings with my yoga sessions at the Yoga Nook in Glens Falls, NY. 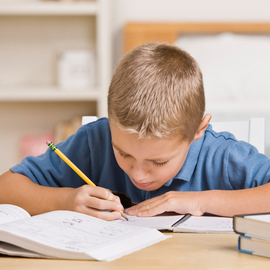 Adirondack Ayurveda offers tutoring services for children of all abilities. I hold New York State dual certification in Elementary Education – Early Childhood through Grade 6, and Special Education – Early Childhood through Grade 12. General education focus is on school curriculum. Special needs focus is on development of functional cognitive, academic, social, and activities of daily living skills. Specializing in children and teens with autism.